Pokemon GO has taken the world by storm. It has yet to be released in the UK and potential trainers (players) are going absolutely nuts waiting for it to come out. I was the first in the country to put out content about players potentially causing automobile accidents while playing Pokemon GO. As soon as I did my personal injury lawyer clients who had this great content on their website were referenced by local news stations. Since I either create the content or direct the content for so many attorneys and professionals I go play the game. This gives me the best understanding of it and how Pokemon would work in any local area. 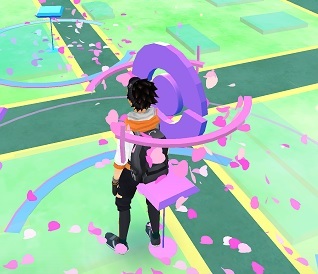 As for personal injury, well, players can hatch eggs based on the distance they travel, and going from Pokestop to Pokestop allows players to obtain more Pokeballs for their bag and locate more Pokemon (to capture). Basically, playing while driving allows players to get a lot done faster than playing while walking. So, it is only a matter of time before people start getting into accidents while playing Pokemon go. Shortly after putting this content up on to law firm’s websites in a tasteful manner, the accidents began. Something else I have been adding to my Pokemon GO content are Pokestop maps. In general I have been the first to create these in every area that I have touched. This makes pages extra linkable. Most websites that were the first to do this were getting 200 – 2,000 hits per day to their page. Sometimes traffic is worthless but it is still fun to see. In other cases traffic results in natural links which is the most holistic form of SEO you can get.